We're launching the world's first #CleanUpForCake campaign! You’ve probably seen in the media various beachside locations offering a free tea or coffee if you do a litterpick along the beach and return with a full bucket. Well, #CleanUpForCake is our own unique twist on the idea. Not everyone likes tea or coffee, but everyone LOVES cake! We have our first location, the wonderful Cragg Sisters Tea Room in Aldeburgh, Suffolk and we’ll be officially launching the #CleanUpForCake campaign there in the coming days. Follow us on Twitter, Facebook and Instagram for the exact date and time. Would you like to join the campaign and become an official #CleanUpForCake location? Do you own a tea room, cafe or other suitable location? 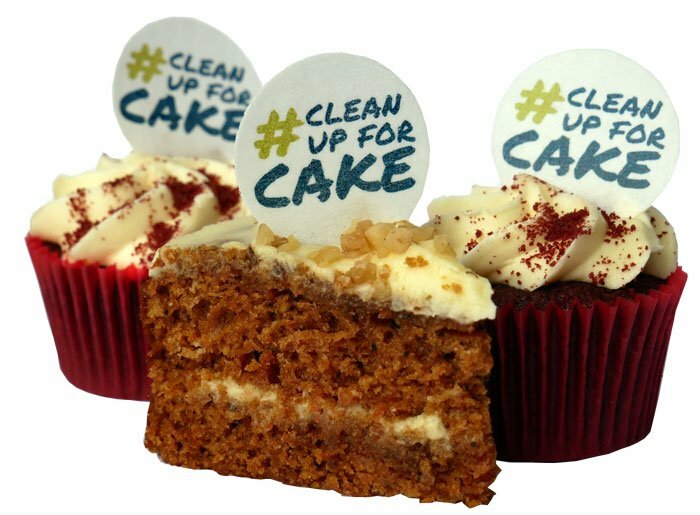 Would you like to support our campaign and become an official #CleanUpForCake partner? We’re looking for locations around the UK to become a focal point for residents and visitors within their community. A place to meet and make new friends. A place to discuss and plan local action to combat the issues of single use plastic and other litter. You don’t need to be beside the sea to take part. We’re looking for locations across every county in the UK. Whether you’re by the coast, next to a river or totally landlocked, we would love to hear from you. Complete the form below to register your interest and we’ll be in touch very soon with more information. Don’t want to use the contact form? No problem. Here are some other ways to get in touch.